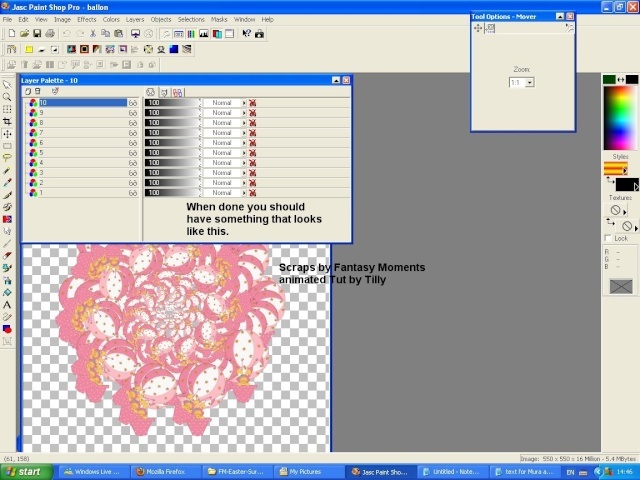 This tutorial was written by me Tilly, March 23rd 2011, any resemblance to other tutorials are purely coincidental.. 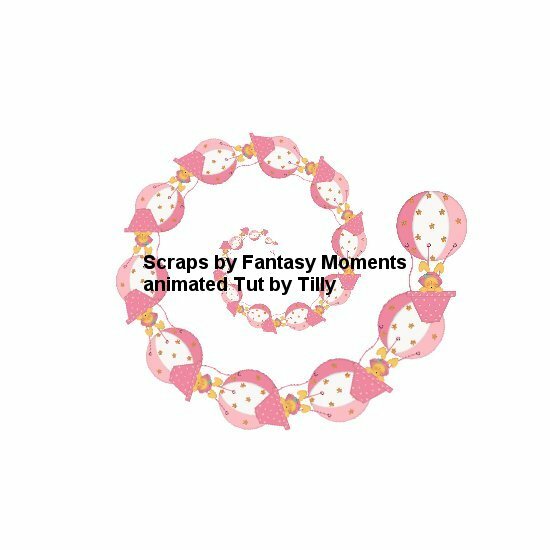 Here is the preview of what we will be doing..
You will also need an element from a scrapkit or an image from a dingbat font of your choice..I'm going to use a butterfly element from a scrapkit by fantasy Moments. 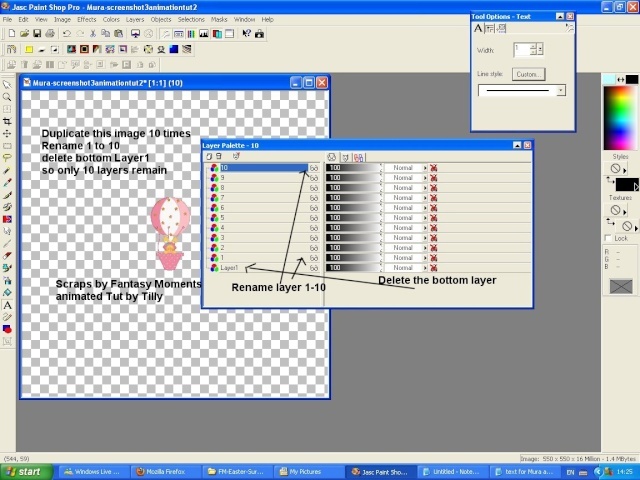 Open psp and create a new layer size as you like, but mine is 550x550. 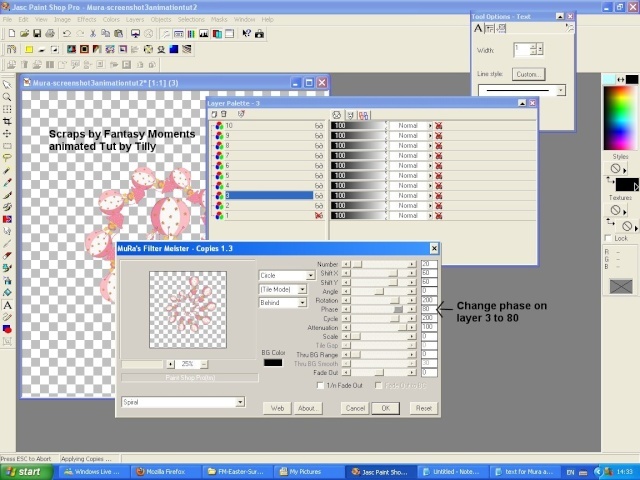 Step 3..Activate layer numbered 3, goto mura copies and again adjust the ''Phase'' decrease to 80 and click ok. see screen shot 5. Step 4.. continuing activating each layer in turn and decreasing the ''Phase by 10'' so as reference layer number 4 would be 70, number 5 would be 60, number 6 would be 50, number 7 would be 40, number 8 would be 30, number 9 would be 20 and finally number 10 would be 10.. 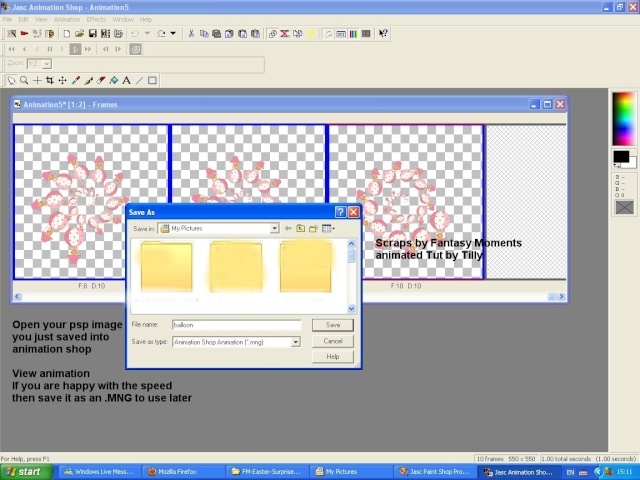 Step 6..Now open animation shop and find your saved psp image and open it in animation shop.. View animation to see what it will look like.. If you are happy at this point you can then save it as an .mng for later use.. 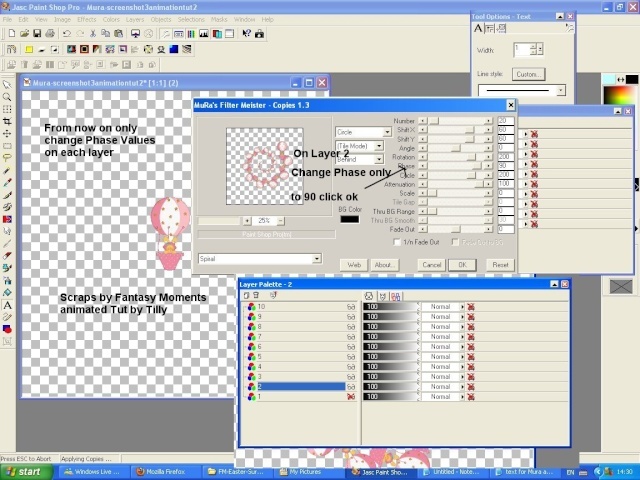 When you are happy with the speed, to save the animation look at screen shot 8..
And that is all there is to it, there are many possibilties..
You could select all the psp frames in animation shop copy and paste as a new animation and on this one mirror, edit copy, click frame 10 on the original then paste after selected frames and this will give a slight variation. see below.. 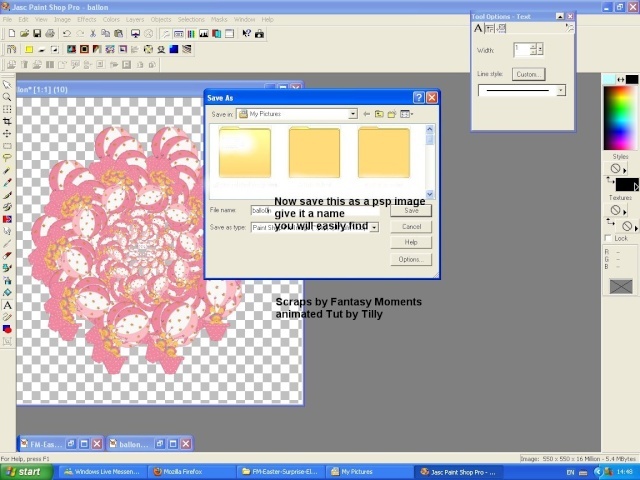 Remember always to save as an ''.MNG'' file so you can use it on tags later, if you save as a .GIF at this stage you will have a hase around the edges of the animation which wont look great on a tag..( i saved mine as gifs purely for reference and previews purposes.